As we head into November, we’ll take a look and see who the runners and riders are in the BIH Elite League Power Rankings every week, starting here where Belfast and Fife has good weekends. 1. 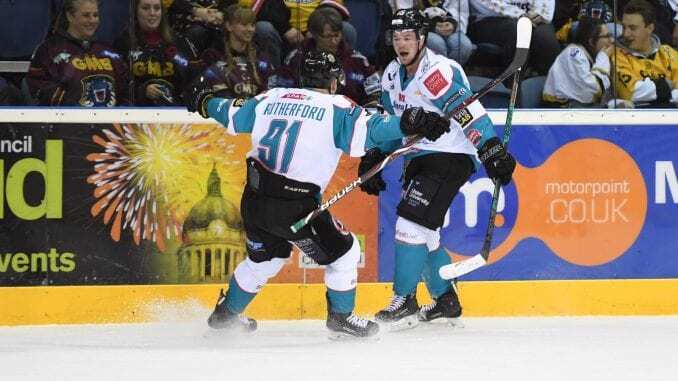 Belfast Giants – After a loss last week to end a lengthy unbeaten run, the Giants reacted in the way they know how – digging out two wins in overtime while shortbenched to start what could be another run. Impressive. 2. Fife Flyers – While it was a penalty shots loss in overtime on Saturday, that point proved crucial as Flyers turned things around in the third period against Milton Keynes to go top of the Elite League this week with three points out of a possible four. 3. Cardiff Devils – Andrew Lord’s team are lurking and while they used this weekend to take care of Challenge Cup group business, a shutout win in Coventry on Sunday was the perfect to wrap it up, offset by Saturday’s home loss to Guildford. 4. Guildford Flames – Three wins out of three this week against the teams who finished first, second and third last season, one of which a shutout win. Wraps up a great week for the Flames and worthy of a high placing this week. 5. Glasgow Clan – Only one game, but a victory delivered in style over Milton Keynes Lightning, including a hat-trick for the on-form Brendan Connolly. Some big results needed if they’re to climb these particular standings. 6. Coventry Blaze – Another frustrating weekend for them and the fact they picked another road win in a tough building in Scotland is why they edge the Panthers right now. Inconsistency continues to plague them however. 7. Nottingham Panthers – One win in five for Nottingham now and two overtime losses this weekend has seen their early season charge stall in a somewhat worrying fashion. This team will find its form, but they need to sooner rather than later. 8. Sheffield Steelers – An edgy overtime win over their nearest rivals could be the corner turner this team needs as Tom Barrasso begins to make his mark on this Steelers team. 9. Dundee Stars – There’s been a point here and a point there and in one game, the Stars managed to end their losing run by getting both and finally put a smile on Omar Pacha’s face. Yay! 10. Manchester Storm – There have been some struggles at the Storm as their form dips, losing four of their last five. The shutout at Guildford was the slap in the face to end the weekend. Ryan Finnerty has a tough test on his hands. 11. Milton Keynes Lightning – Three games in Scotland finish with nothing to show for their efforts and Doug McKay’s team are slightly adrift at the bottom. On the upside, new signing Robbie Baillargeon looks a good addition.